Merry Christmas lovelies! I hope you're all having an amazing day, filled with lots of food and festivities! I will probably be super busy here in the U.S at my Dads. 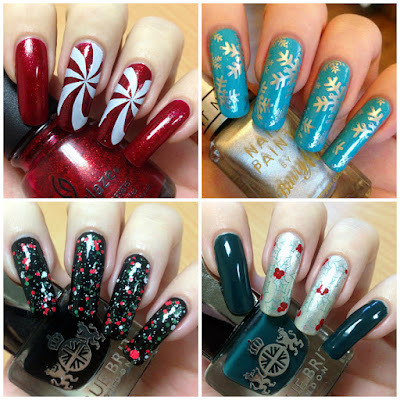 I have a quick post for the day itself with a collage of all of my Christmas mani's from this year. I didn't manage to do as many as I hoped before leaving for my holiday - oh well! Read on for a closer look at each and for links to their original posts. First up were my Candy Cane Swirls using China Glaze 'Ruby Pumps', MoYou London 'White Knight' and MoYou London Festive plate 03 - post here. 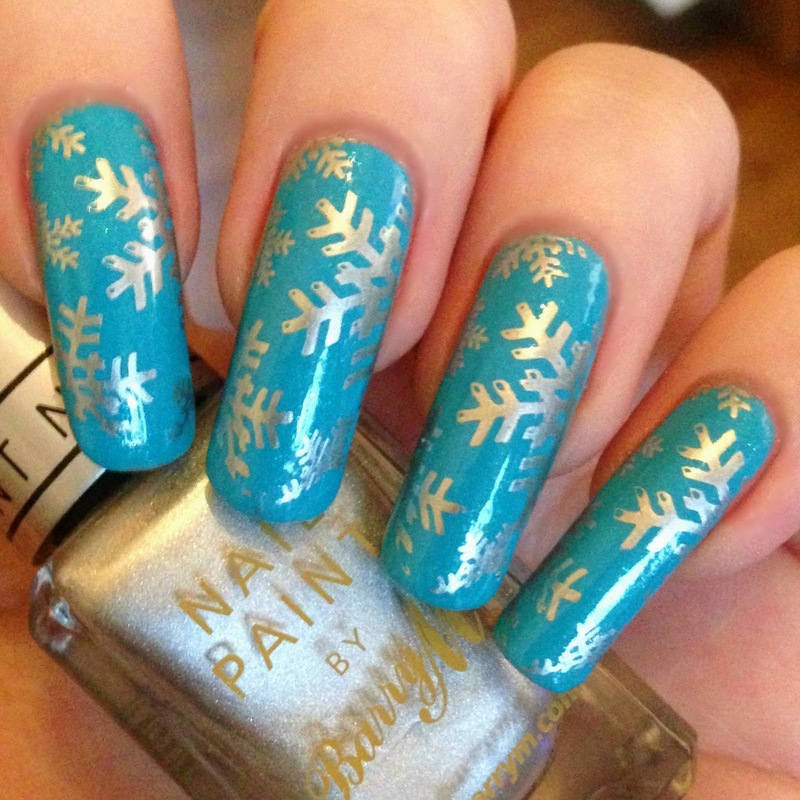 Next up are my snowflakes using Models Own Diamond Luxe 'Asscher Blue', Barry M Cosmetics 'Silver Foil' and MoYou London Festive plate 03 - post here. 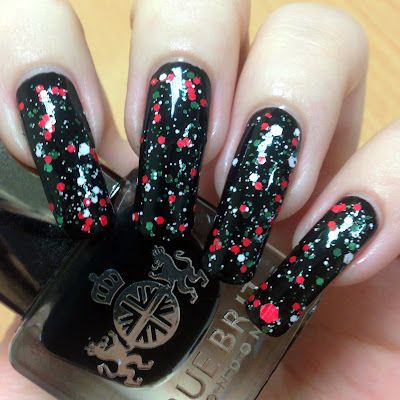 Then we have quick and easy Christmas Glitter nails with True Brit London 'Taxi Cab' and Ciate London 'Candy Craze' - post here. Last up are my Holly Nails using True Brit London 'Park Lane', OPI 'Happy Anniversary' and Rimmel 'Double Decker Red', all from the November Nailbox, and MoYou London Festive plate 03 - post here. These are also the nails I have on right now! I had so many other design ideas that I didn't get round to doing, including using the reindeer charms and Christmas vinyls from the She Sells SeaShells Christmas box (post here). There's always next year! What is on your nails for Christmas Day? I'd love to know! Merry Christmas! !